As many people will know, 2nd World War airfield of RAF East Moor was located a very short distance from Sutton-on-the-Forest and the flying activity during day and night must have made a huge impact on village life. Indeed, in May 1945, when flying operations ceased and peace began to return to Europe, nearly 1,800 Canadian and British service men and women were stationed at the airfield. Early in 1990 the Canadian veteran aircrew and ground staff subscribed to and built the war memorial at the east end of Main Street in memory of the 640 who flew out of East Moor never to return, the airfield having been built on land to the south of what we now call Well Lane and was largely manned by members of the Royal Canadian Air Force. 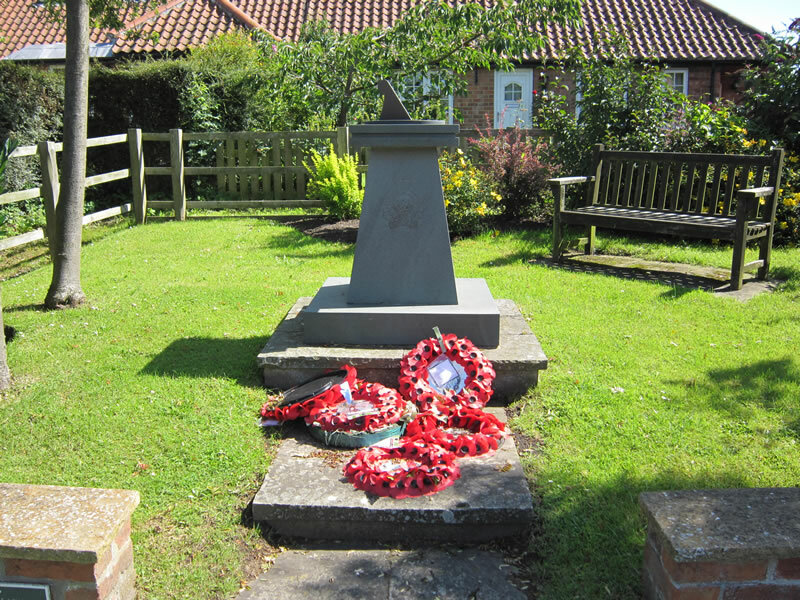 With the help of the Parish Council, the Village Pound was identified as the ideal location for this memorial. The Pound having been used in times past as a walled enclosure for stray animals, which could be recovered on paying a small fee to the “pender”. Hence the Sundial Cairn was erected in its prominent location at the end of the Main Street and across the road from the Village Hall. 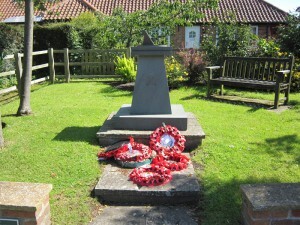 Every year since then the RCAF have sent a contingent to the village to help conduct a short memorial service, originally organised by the veterans themselves but as the numbers fell away with the passage of time the Parish Council took over the responsibility able assisted by our branch of the YCA. In recent years we have been able to incorporate a talk by the Canadians to the pupils at our school and also a visit to Sutton Hall which was the Officers Mess during the war. School children have also laid flowers during the service. 2019’s RAF East Moor Memorial Service will be held on Saturday 18th May at 2:30pm at the Pound followed by refreshments in the Grey Village Hall. Everyone is welcome.